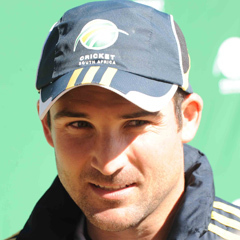 Brisbane - South Africa have called up all-rounder Dean Elgar for the tour of Australia in place of JP Duminy, who ruptured his tendon in training on the first day of the first Test, Cricket South Africa said on Sunday. Duminy - also an all-rounder who was expected to support the four-man pace attack with his off spin - will be sidelined for six months after suffering the injury on the Gabba pitch after play on Friday. "We have opted for a like-for-like replacement," the CSA's Andrew Hudson said in a news release. "Dean can bat anywhere in the top order and he also gives us a back-up spin bowling option. "He had a good debut for the Proteas in their recent ODI series in England and he fully deserves his call-up to our Test squad as well." Lefthander Elgar, 25, has yet to play a Test for his country and that is unlikely to change in Australia with Faf du Plessis likely to replace Duminy for the last two matches of the series at Adelaide Oval and the WACA in Perth.